Economics is the social science that studies the production, distribution, and consumption of goods and services. 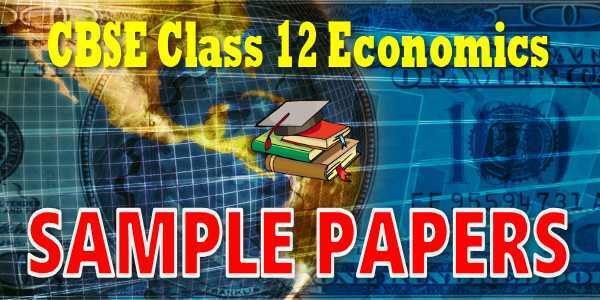 And after your completion, your whole syllabus students look for sample papers.CBSE guide provides your perfect collection of CBSE Sample Papers for Class 12 Economic 2019. Practicing Sample Papers increase your speed and boost your performance in board exam and helps to score well. You can download CBSE Sample Papers for Class 12 Economics at our website and myCBSEguide app for free.